»Press»WBDD Hard Copy Received From Korea! On February 5, we were elated to start our day with a wonderful gift we had received by mail. 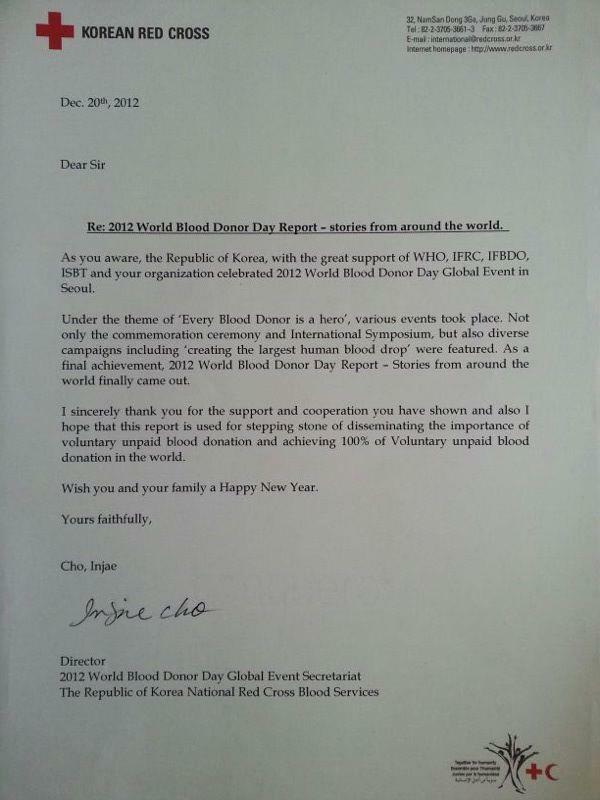 It came all the way from the Korean Red Cross, and contained the above letter and a hard copy of the WBDD booklet, which grabbed stories from all over the world from countries where the WBDD was celebrated, and guess what?! 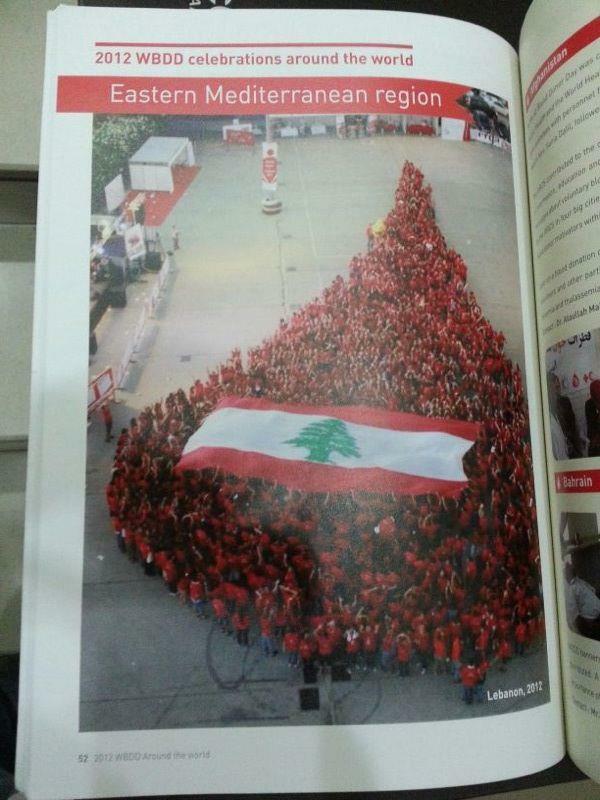 We were more than honored to be the ones to represent Lebanon in a couple of pages and to see our work shared all over the world! ← Malia Group Inaugurates Our 2013 Season With A Blood Drive!